A violin is a versatile instrument - and when you've got a great violinist behind it, you're guaranteed a fabulous performance. This genre is ideal for Weddings, parties, celebrations and events of every shape and size. The musical range is enormous, so if you have a favourite style or singer, your Violinist will be able to translate your musical choices into the Voice of The Violin! Violinists will happily provide music for up to three hours and will transfer from Church or Wedding Ceremony venues to Reception rooms. You'll experience your very own concert from a virtuoso Violinist - your guests will remember your event for the rest of their lives! 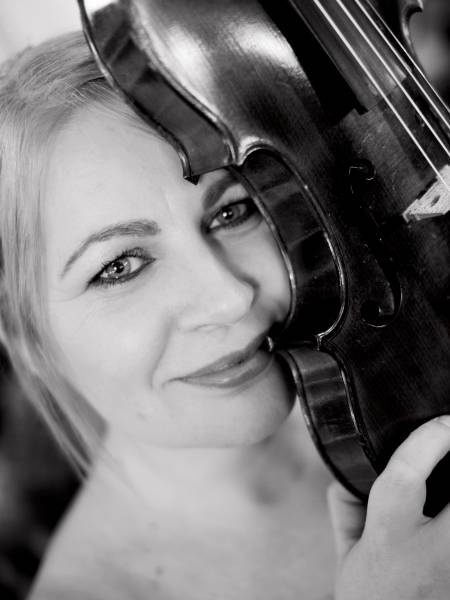 Find out more about booking a violinist below. Find a Violinist for hire near you in minutes! Option 1. Enter your event location below & contact a Violinist directly! Option 2. Request multiple quotes from available Violinists Get Quotes! Option 3. 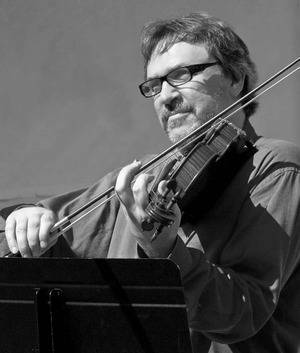 Read information & advice on hiring Violinists Read Advice! WANT TO KNOW MORE ABOUT VIOLINISTS? Read on for the most comprehensive guide to booking a Violinist, including how much a Violinist costs, exactly what they will do at your event, plus tips, advice and information to help make your event one to remember! Maybe you want to hire an Electric Violinist to thrill your audience? Or how about a Traditional Violin Soloist to create a relaxed atmosphere? You can be sure that the crowds will be captivated and delighted with your hired stringed entertainment. What exactly will a Violinist do at your event? 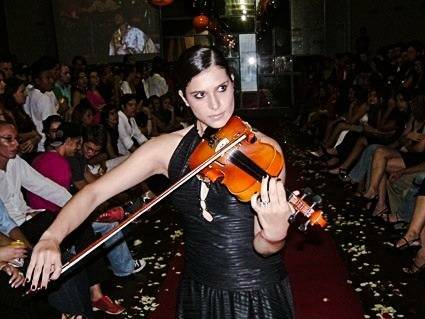 A Violin Player will bring the wow factor to any event you may have in mind! They are self- sufficient and can dazzle whether you hire a contemporary Electric Violin Player or a Traditional Acoustic Violin Player. A violin is a small instrument which can be easily moved around at your venue to suit your event's timescale and needs. Because the violin is such a versatile instrument, you can expect pop hits and classical pieces alike. Mainly, a Violinist will entertain your audience with a fantastic live show that will put the wow factor into celebrations and impress your guests, whatever their entertainment tastes may be. What event types are Violinists hired for? Violinists are a constantly popular choice to hire for weddings. They can be hired to play chosen sections of romantic classical pieces for the wedding ceremony entertainment. Firstly, the Violinist can be playing at the ceremony venue (be it a church or registry office) as the guests are pouring in. This will create an emotional and sweet atmosphere for all of your family and friends to revel in. Then the Violinist can play a chosen special piece for the bride as she makes her way down the aisle. You could perhaps request the ‘Bridal Chorus’ by Wagner, which is an extremely popular request at wedding ceremonies. Or maybe ‘All you need is love’ by The Beatles as a modern day alternative?! You can then request that the Violinist plays something celebratory when the nuptials have finished and the bride and groom are walking out of the ceremony. What a perfectly romantic start to married life! When the newlyweds have left the ceremony, and they are having their photographs expertly taken by the professional wedding photographer, you may want to think about hiring a Violinist at your wedding drinks reception to entertain the guests as they sip on the first celebratory drink of the day! A Violinist can create a beautiful ambience, whether inside the venue or outside in the open with the (hopefully) sunny weather. When the husband and wife are welcoming guests into the main dining hall, you may be looking for a form of entertainment to fill that gap between this and the speeches. A Violinist can fill these gaps and more! Imagine them playing a relaxing and atmospheric classical piece or perhaps you would prefer the twist of a modern no1? A Violinist can thrill with either. It’s evening and it’s time to party and socialise properly! So, why not book a Violinist to take your wedding entertainment to the next level?! A Violinist is capable of playing as a soloist, or as part of a duo or a as a collective of Violinists such as the world famous ‘Bond’ band. A Violinist can play with a backing track behind them to really get the crowd dancing at the party, or alternatively, they can really slow things down and play a spine-tingling solo. One of the great aspects of hiring a Violinist for your corporate event is that they can be the main entertainment on a stage or they can easily blend in as background music. Additionally, they can also go from table to table performing to guests individually. This is great for perhaps a yearly gala or an annual work-do such as the Christmas work party, or maybe for the end of the financial year bash?! Violin music can be a great conversation piece that breaks the ice at a product launch or possibly a shop opening. Maybe you would like to hire a Violinist for an art gallery exhibition or to dazzle as your coffee shop entertainment? Violinists are also excellent as performers at birthday parties! As well as performing the ‘Happy Birthday’ song, most violinists will fill their set-lists with pieces from Bach, Beethoven, Vanessa May, Vivaldi, Bollywood and more! It can be a charming and tender backdrop to all to excitable conversation in the room! Because the violin is such a versatile instrument, it can also be a popular choice for funerals which is a wonderful and respectful way to pay tribute to someone who was special to you. How much do Violinists cost to hire? Our simple to use entertainment directory allows you to firstly search for the best Violinists who are local (or travel to your area) and then via the contact form you may contact them directly to enquire for a no obligation quote to perform at your event. Some acts will also add a rough price guide to their profile for your convenience. What are the usual set formats and performance lengths for Violinists? A Violinist can tailor their performance to times to suit you and your event, however, on average a professional Violinist will perform for 60 minutes. How much space will a Violin Player need at your event? If you are looking to hire a string quartet for example, you will need lots of elbow room and possibly a raised stage area. If this is the case, then you may want to ponder lighting arrangements too. Don’t forget, by using our easy to use search engine, you can filter out all kinds of options to find exactly what you’re looking for. As a soloist, an Acoustic Violinist just needs the room to manoeuvre around and comfortably use their bow! So we would suggest a stage area of 3x3 metres. What equipment and set up requirements do Violinists need? As with most artist sign ups on Entertainersworldwide.com, a Violinist will provide most of their own equipment. This may include: sheet music, a music stand and the violin itself of course! You may want to enquire if an artist needs a PA to amplify their sound, in which case we would advise to use our easy to use messaging service to find out. How can you find and book a Violin Player with Entertainersworldwide.com?